Rich Consulting, LLC specializes in motor vehicle accident reconstruction. We assist you with scene and vehicle examinations, collision cause and analysis, advise you about your case's technical strengths and/or weaknesses, and author high-quality expert reports. We bring accident reconstruction teaching experience into the courtroom to be effective teachers for the trier of fact. Andrew Rich is a principal of Rich Consulting, LLC. 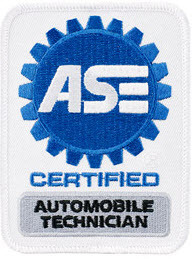 Mr. Rich possesses the rare combination of a mechanical engineering degree, crash test research experience, advanced accident reconstruction teaching experience, certification as an ASE automobile technician, and 25 years of law enforcement experience that includes the at-scene investigation of serious and fatal motor vehicle collisions. Mr. Rich is experienced testifying at deposition and at trial. He has received expert witness training from the attorneys at SEAK. Engineers have the math and physics background that is necessary to deal with some of the more esoteric reconstructions. Law enforcement reconstructionists have the experience of being at the scene of accidents minutes after they happened; they develop a strong insight into evidence interpretation. As an engineer with law enforcement investigation experience, Andrew Rich is highly qualified to consult on your case. A crash test at the 2011 Pennsylvania State Police Reconstruction Conference.